Offering you a complete choice of products which include nut splitter, torque multipliers, tube joint testing kit and torque wrench. We are an unparalleled name, engaged in offering a premium quality range of Nut Splitter. 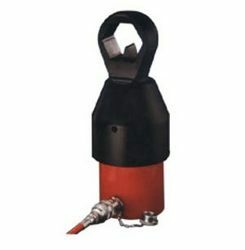 The offered nut splitter is used in industries like electrical, automobile, construction, and other allied sectors. Manufactured by inculcating latest technology in sync with the industry standards, this product is easy to use and safe. Ensures tight fastening, this product is offered at industry leading price to the clients. 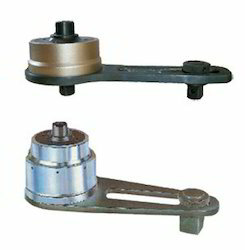 Our organization is considered as a distinguished company offering premium quality Torque Multipliers. The offered multiplier is manufactured under the supervision of our deft professionals by utilizing superior quality components with the help of modern techniques. 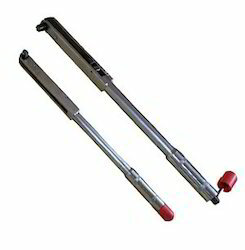 This product is widely used to test various machines applied in weighing, stretching and other torque related solutions. Moreover, our respected clients can avail the provided multiplier from us at cost-effective prices from us. 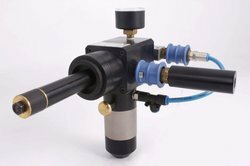 Simple,Quick and Reliable ube and joint testing.Test 7 to 8 tubes or 10 tube joints per minute. Each tube Testing Gun Weighs less than 1.3 kg Joint Testing Gun Weighs less than 1.5 kg. Interchangable seal sets: Allows testing of tubes from 7.75mm to 30.63mm ID with easy to replace accessories. Each Kit packed in easy to carry case. Silent during use. Ergonomic design makes testing effortless. Sizes Available Tube OD 5/8" to 1.1/4"
Models Available BTLD-65000 5/8 BSP to BTLD-6500 1.1/4"
Since our inception, we are able to offer an optimal quality Torque Wrench that is available in several technical specifications. The provided wrench is well-suited to stabilize the high impact resistance of various metallic materials. This wrench is manufactured under the guidance of our deft professionals using quality-tested components and advanced techniques. Further, the wrench is also made available at custom design. Apart from this, the provided wrench can be easily purchased from us at negotiable prices.